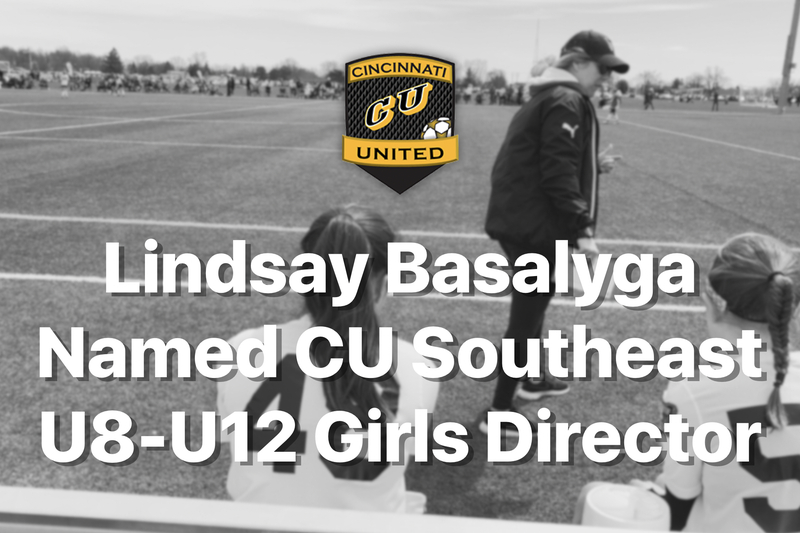 The Cincinnati United Soccer Club is excited to announce the promotion of Lindsay Basalyga as the new CUSE Girls’ U8-U12 Director of Coaching. She will assume her role with the club effective immediately. As Director of Coaching, Basalyga will be responsible for overseeing the U8-U12 Girls’ program in Southeast including player and coaching development within those age groups. Basalyga currently coaches the CUP South 2008 teams after transitioning them from CUSE two years ago. She joined CUSE after a 15 year stint in Division I soccer as the Head Coach at Bowling Green State University from 2012-2016, Head Coach at Eastern Kentucky from 2004-2012, and Assistant Coach at the University of Toledo from 2002-2004. During her time at EKU, she was the director of coaching for Madison United Soccer Association, in Richmond, Kentucky. A graduate of Turpin High School, Basalyga went on to play 4 years of soccer at the University of Maryland earning a degree in Art Studio before receiving a Master’s in Recreation and Leisure studies from the University of Toledo. Basalyga holds a USSF “A” license, an Advanced NSCAA Diploma, a Director of Coaching Diploma from United Soccer Coaches, and currently serves as a scout for US Soccer. In addition, she has instructed USSF “E” and “D” courses for Ohio South Youth Soccer Association. “Lindsay has a passion for coaching and coaching education and we look forward to her sharing her leadership and experience with our staff and players”, Dan Kunkemoeller, Club President said.